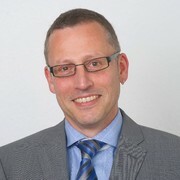 On 1 September, Michael Dedek (46) started as Managing Director for Administration at BICC (Bonn International Center for Conversion). Mr Dedek graduated in Economics, Diplom (Graduate Economist, equivalent to MA) and Commercial Law, LL.M. (Com) and joined BICC already in the Center’s founding year 1994. He served as Authorized Representative and Deputy Director prior to his current assignment. Michael Dedek specializes in the business- and legal management of service-oriented research and consultancy institutions. His areas of specialist expertise are personnel administration, commercial management—which comprises organizational build-up and development, finance and accounting, annual accounts, audits, project acquisition and controlling—as well as contracting. He is particulary interested in questions concerning employment law and the challenges facing non-profit organizations. On 31 August 2012, Peter J. Croll retired from his position as Director at BICC. In future, a Managing Director for Administration and a Managing Director for Research will lead the Center. The position of Director for Research is linked to a professorship in Peace and Conflict Research at the Rheinische Friedrich-Wilhelms-University of Bonn. The selection process has not yet been concluded. This dual leadership strengthens the content- and research-related work on the one hand and its administration geared to acquisition, efficiency and effectiveness with its respective procedures and services on the other.